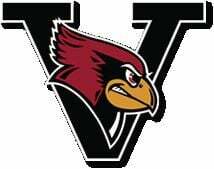 Roller, Shane Olson, Austin Woods and Ty Moore each delivered two hits in the Cardinals’ 14-hit attack as VHS improved to 8-1 with a date against Miami at noon on Thursday. Starter Tristan Hilton and reliever Jackson Thies combined to limit the Conquerors to three hits. Jackson surrendered two hits over five innings while striking out five and walking six. Victory Christian (3-4) aided Verdigris’ cause by committing five errors, leading to six unearned runs. A six-run third inning, powered by six hits and four VC errors, produced a 10-2 lead for the Cardinals. Moore scored on a passed ball to get the outburst started, then Olson singled home Jaren Keith, and Roller homered over left center field to make it 7-2. Woods ran home on a dropped infield popup and Hilton, and Thies scored on consecutive balks. Another Conqueror misplay plated Toby Willis and Olson in the fourth for a 12-4 gap, then Neal led off the fifth with a home run to left. With two outs, the Cardinals pushed across four runs in the first inning. Hilton drove in Olson and Roller with a double to left to open scoring. Later, Moore’s base hit plated pinch runner Colton Anderson and Thies for a 4-0 lead. Victory Christian, batting as the home team, got two runs back in the bottom of the first. Consecutive walks by Hilton and a single by pitcher Colby Siglin accounted for leadoff batter Brendan Fink. Jordan Droze touched up after a bases loaded walk off Thies, trimming the VHS lead to 4-2. VC managed two more runs in the third, one coming on a fielder’s choice when the Cards turned a double play, and the second on a Verdigris throwing error.